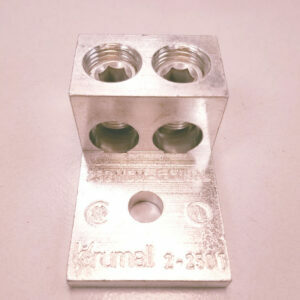 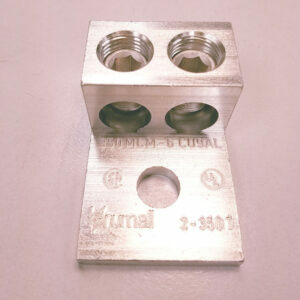 Double Lug – Brumall Inc. 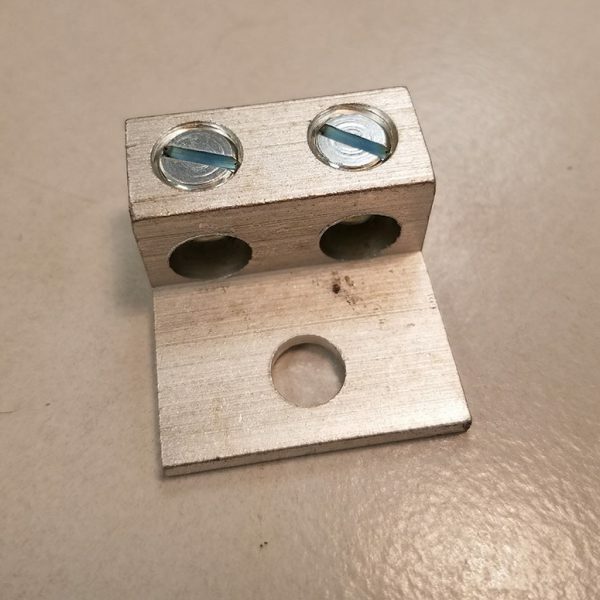 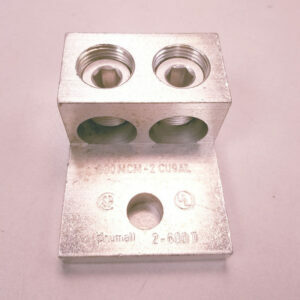 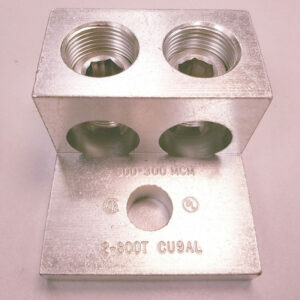 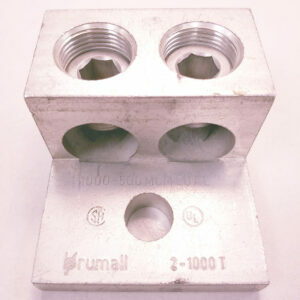 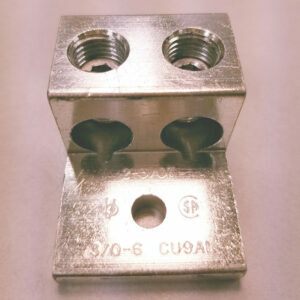 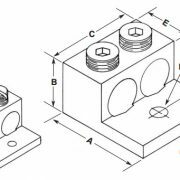 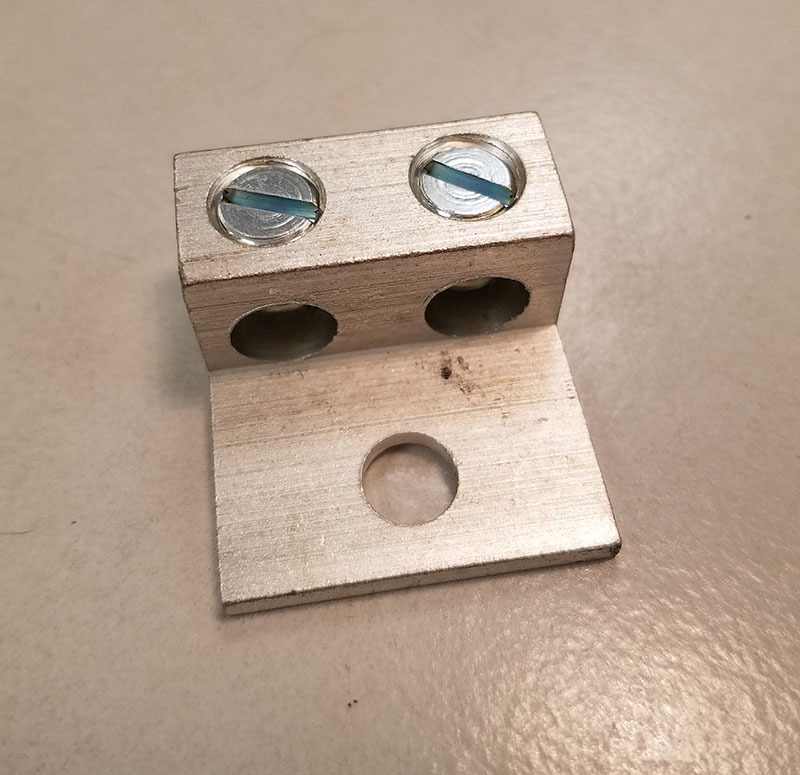 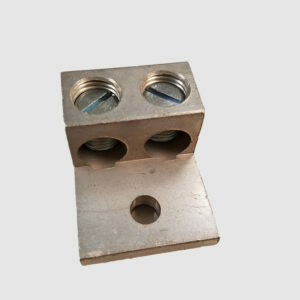 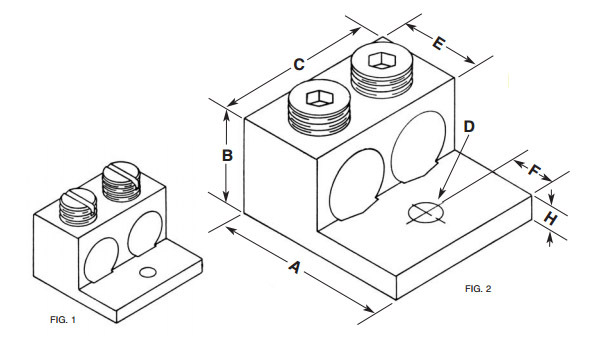 Mechanical aluminum lugs designed for conductors. 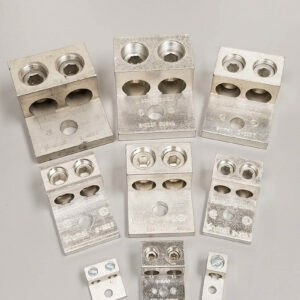 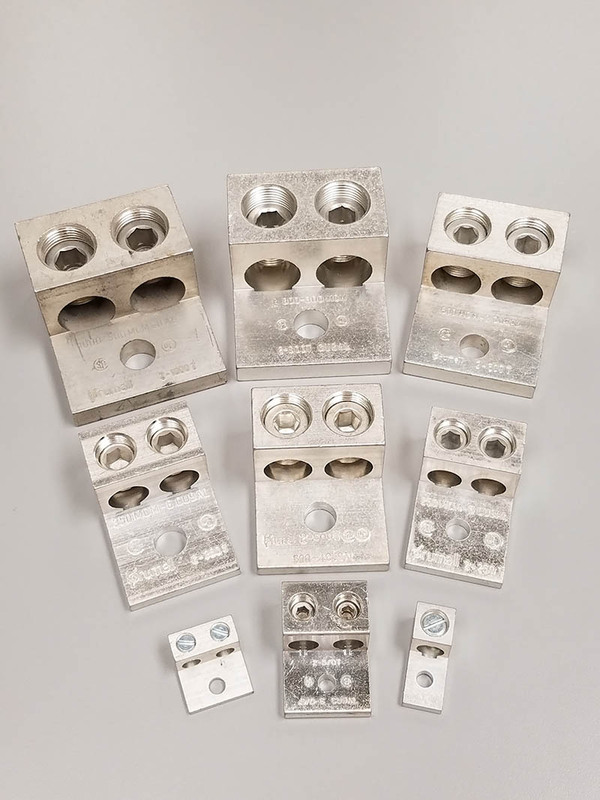 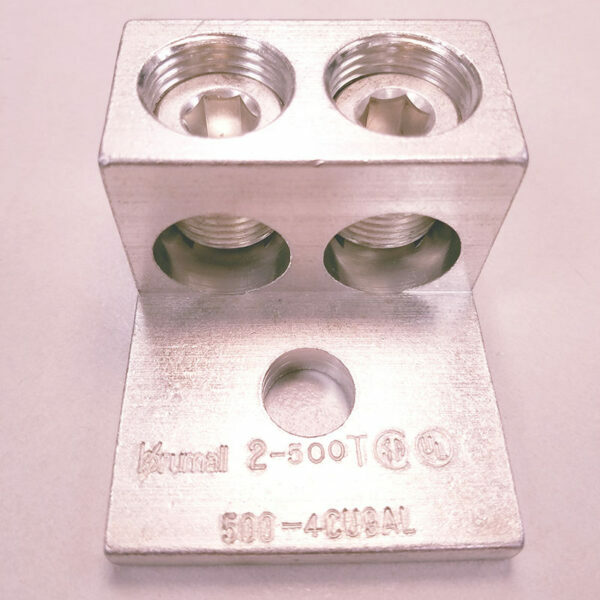 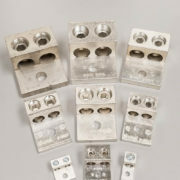 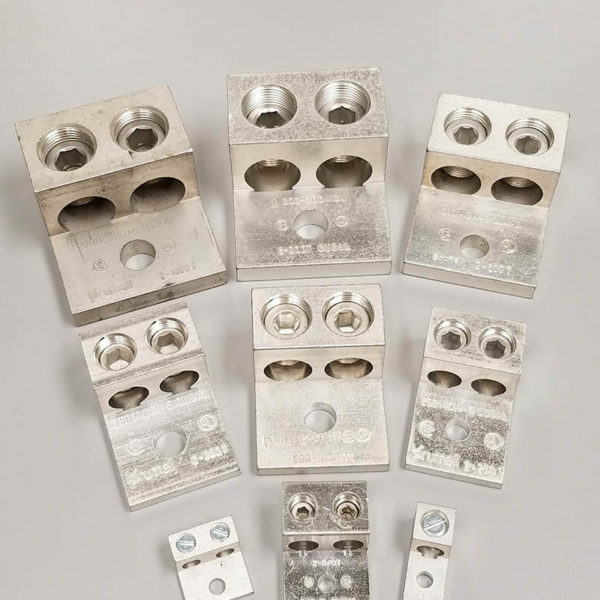 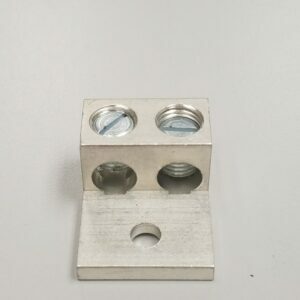 The lugs are electro-tin plated to ensure reliable connection for either copper or aluminum conductors. Wire ranges covered are from #14 AWG to 1000 MCM, rated for 90-degree wire.